WHAT: Central Piedmont Community College’s (CPCC) is pleased to announce Matt Horick’s latest exhibition, “revert and continue,” will be on display in Pease Gallery beginning Jan. 11. The exhibition expands on Horick’s idea of sculptural editions and features a number of distinct works for both the wall and floor. 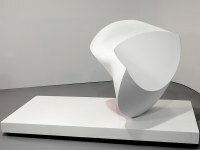 It will include many of Horick’s signature white abstract forms, situated alongside a new set of sculptures created from found and recycled sheet metal, largely retaining the raw appearance of their original material. Horick began working on the exhibition while in residence at the McColl Center for Arts + Innovation in uptown Charlotte. As a result, it serves as a culmination of his work over the past several years. His work has also been added to CPCC’s permanent art collection and is featured as part of Learning Resource Center’s sustainable Greenroof. Artist Lecture: February 7, 4:30 – 5:30 p.m. Opening Reception: February 7, 5:30 – 7 p.m. The CPCC Ross Art Gallery is partnering with About Face Charlotte to bring the works of Scott Gardner, a videographer and photojournalist for Discovery, National Geographic, History Channel and Animal Planet, to the college’s Central Campus. 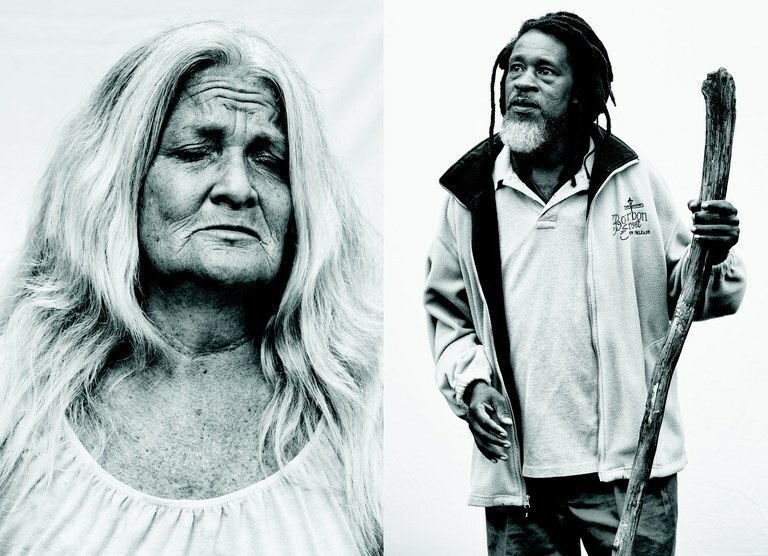 About Face Charlotte is a movement dedicated to the cultivation of kindness, compassion and connection through photography, storytelling and community engagement. It seeks to empower people to make a difference in their community by creating campaigns and projects that raise social awareness through art and empathy education. Be sure to mark your calendars to visit Ross Art Gallery for an awe-inspiring experience featuring real people and the many stories of our community. Artist Lecture: January 23, 3:30 – 4:30 p.m. Opening Reception: January 23, 5 – 7 p.m. This entry was posted in Arts and tagged arts, galleries, pease, ross by Mallory Benz. Bookmark the permalink.